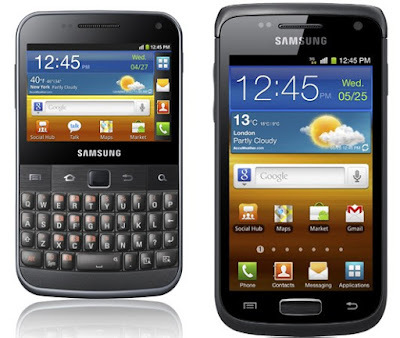 The new Samsung smartphones are on their way to the market. Samsung has also changed the naming schemes and the new ones will not be familiar to you. Let’s see what they are. First, there is Samsung Galaxy W. Style and performance, both are the essential things for a smartphone and that’s what it has. W meant to imply wonder and frankly speaking, it’s a wonder. It has 3.7 inches WVGA touchscreen and 14.4 Mbps HDSPA connectivity. Along with these, it has 1.4 GHz processor. Playing games, listening to music and more other stuff can be done with ease and style. Then, there is Galaxy M Pro. This smartphone will be providing high performance to all its users. M stands for magical and it’s magically good at its performance and price. It will be having QWERTY keyboard that can be used for fast emailing etc. Galaxy Y, a best buy for the younger consumers. It will be having 832 MHz processor and a great feature ‘Social Hub’ that will help you to stay connected with your friends on the social networks. SWYPE facility is there and it really helps in speed typing. And the last one here is Galaxy Y Pro. A good looking set is here for all the Young professionals. It’s not like Galaxy Y but it will be having a QWERTY keyboard. So, those people who want to use their smartphone mostly for emails should have to try this one. All of these will be running Gingerbread and they are coming in the next week. Well, it looks like Nokia, Blackberry and Apple will be having some competition. Let’s see which one you will like.